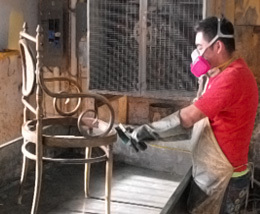 Our expert carpenters and finishers can accomplish almost anything, from repairs of all kinds to complete antique restoration. 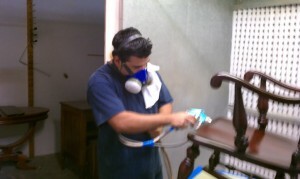 We specialize in custom wood rehabilitation, whether replacing a piece of veneer or a whole ornate cabinet door. 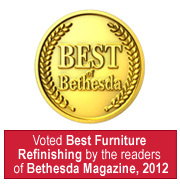 In addition, we do all kinds of refinishing, complete with a lacquer, wax, or ask about our new, green, child safe water based finish. Do you want to restore Grandma’s chest that’s been in the attic for years? Leave it to us. 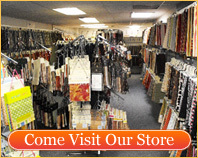 We use only the finest materials obtainable, and your satisfaction is guaranteed.